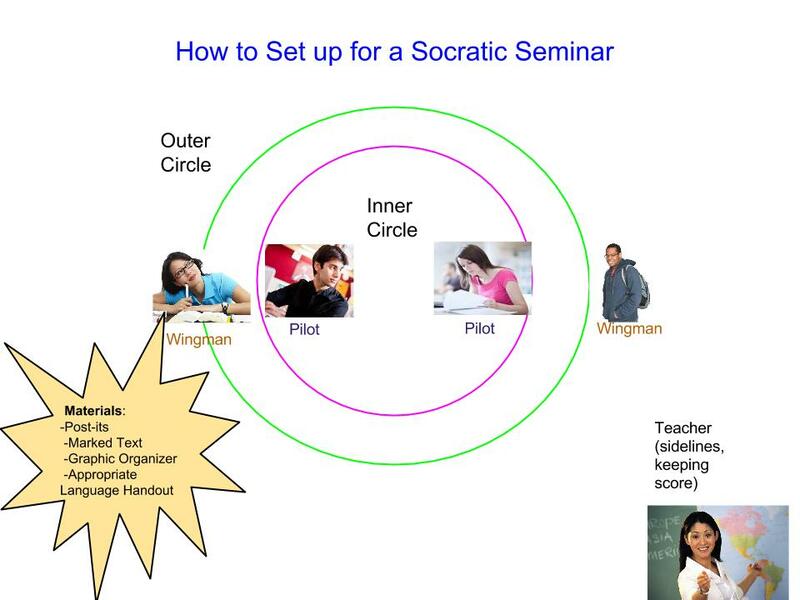 If you have not read Socratic Seminars: How to Prepare–do it! It’s a precursor to this one. So now that you have prepared your students for the S.S., what do you do? Get your hands dirty! 1. Talk about language. I used the Appropriate Language Handout from the Teaching Channel, and it accompanied students during the seminar. No, that is not me, but I do like to point at things/people while I’m teaching. Circles: This is crucial. Students need to be facing each other to converse! Inner Circle (or Pilots): Students here will be the ones doing all of the talking. They will be the ones starting the questions and supporting claims, as well as offering counter claims (Remember this comes from NightSocraticSeminarGO). You can pick one person to be the “facilitator” if you have a student who prefers to lead verbally. This person will decide when it’s time to move onto the next “question” or statement. Outer Circle (or Wingmen): Students in the outer circle will still participate, but will do so without speaking out loud. The way I learned to do this was to have Post-it notes for the outer circle, and for them to pass to their partner when they have a point to contribute. 3. Teacher role: The absolute beauty of this is that the teacher does NO talking. Nada. It is hard to stand there and watch students struggle, but it’s imperative that we do not intervene unless things go south and your room is on the verge of explosion. If you take a look at the Night Graphic Organizer I linked to above, there is a point system up near the top. Now, I might get some flack for this, but I tapped into the competitive side of my students and gave them a little carrot to ensure total participation: The team to get the most points during the seminar gets an extra point for my class (one “point” is equal to a day’s worth of work. It’s a big deal). If a student uses an appropriate language phrase, they get a point. Textual evidence? Point. For students who have never done this before, I find it is very motivating for them to see their point get recorded, and then start recognizing how freakin’ smart they are and sound when they use this language. –How much time does a Socratic Seminar take? I don’t think one could be under 10 minutes. Maybe, but not if I’m trying to get what I planned out of it. My longest one was about 20 minutes, and that was with students who were chatty and there was no outer circle. It depends on your kids. And the amount of time doesn’t really matter if they’re all just yelling at each other. If it’s a more informal seminar with not as much prep, I don’t see a reason why under 10 minutes is a problem. –What if students don’t talk? They will talk. There’s always that one kid who hates awkward silence and will say something. Many times I will throw out the first question from their preparation. Remember, every student should have claims/evidence/counterclaims. And they made up those last few questions, and they will be excited to see what their peers have to say about them! –How do you record points? It’s best to do this discreetly. The points are not the point, and the more of a big deal you make of it, the weirder it gets. –What about that note column on the side of the organizer? I have had a hard time getting students to take notes during the seminar. That is a place of weakness for me. Some do, some don’t. My guess is that I haven’t shown them how to take notes, and have not made it relevant to their reflections that they will write. –Do all students have to be in the inner circle? In my class, yes. We usually switch spots halfway through. Most of the time I initiate that. I have not had a problem with this, since I let them choose who is in which spot to begin. By that time, they are usually more comfortable talking to each other. –What do you do after the seminar? 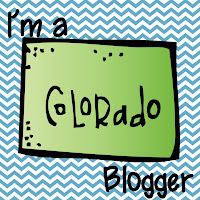 That’s next on the ol’ blog! Questions? Do you do it differently? Comment below!